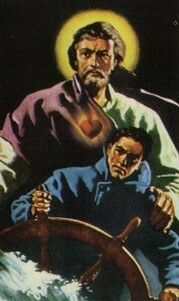 O God, I ask you to take me into your care and protection along with all those who sail in ships. Make me alert and wise in my duties. Make me faithful in the time of routine, and prompt to decide and courageous to act in any time of crisis. Protect me in the dangers and the perils of the sea; and even in the storm grant that there may be peace and calm within my heart. When I am far from home and far from loved ones and far from the country which I know, help me to be quite sure that, wherever I am, I can never drift beyond your love and care. Take care of my loved ones in the days and weeks and months when I am separated from them, some times with half the world between them and me. Keep me true to them and keep them true to me, and every time that we have to part,bring us together in safety and in loyalty again.